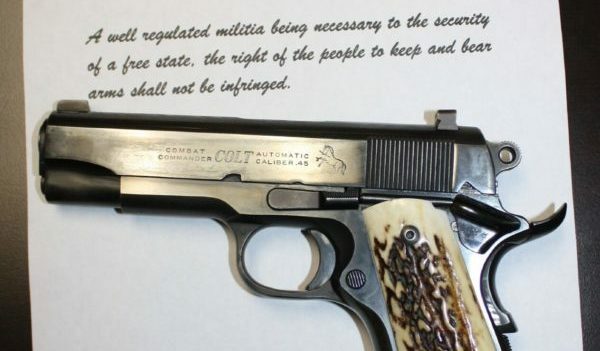 The perennially anti-gun Los Angeles Times has just thrown its weight behind yet another gun control scheme, giving rights activists yet another opening to criticize the newspaper for exercising the First Amendment to crusade against the Second. As South Carolina Congressman and former federal prosecutor Trey Gowdy put it during a hearing with a Department of Homeland Security regarding so-called “no fly, no buy” gun control legislation: “Is there another constitutional right that we treat the same way for American citizens that we do the Second Amendment?” Watch the video of that exchange here. Suppose that same imposition were placed on the Times’ editorial board before it was allowed to publish one more editorial? Then how much of a burden would such a requirement become? The newspaper seems okay with the notion that civil rights can be put up to a popular vote. “It’s a simple story, but it precisely conveys the problem with leaving popular rights to the fickle whim of the voting populace. Anyone can put together a voting majority. Anyone can put together a stronger, bigger bully to strip the rights from a weaker, smaller minority on any given election day. Particularly in today’s mass-media, superPAC driven election cycles. The L.A. Times would no doubt side with Wadsworth in a heartbeat, because the rights under discussion then were and remain popular with “progressive” liberals. The individual right to keep and bear arms affirmed in the Second Amendment – which was incorporated through the 14th Amendment to apply to the states in the June 2010 Supreme Court ruling in McDonald v. City of Chicago – are toxic to the political left. Ergo the hypocrisy. It is easy to campaign against a right when it is one you don’t exercise and personally disdain. It is quite another thing to defend a right you disagree with, because it is a right.